I was going back over BLM's daily notes on the Twin Peaks round-up to compare what I saw on August 16th with what they reported and I read the account below. Summary: Fifth day at this trap site yielded fewer horses. Cause: With BLM concurrence, an older stud with preexisting injury to knees was euthanized in remote non-gather site by contractor pilot. An older stud with preexisting injury to knees -- how did the pilot know this was a preexisting injury? From the air, how did he know it wasn't a stone bruise changing the horse's gait? How did he even know the horse was a stallion? in remote non-gather site -- so what was he doing there? If it wasn't a gather site? Was the horse shot from the air? There are just too many questions here. These horses do not belong to BLM or the Cattoor family. They belong to you and me. If you can witness a round-up, please do. No Matter How I Kick and Scratch, I just can't get you off my back! BLM has agreed that their mismanagement of our wild horses could use assessment by the National Academy of Science, but they don't plan to stop the round-ups in the meantime. Thousands of wild horses are slated for round-up by the end of the summer. Even though the Cattoor helicopters only found TWO mustangs yesterday, they are scouring the range for more. BLM has also announced four run-for-your-lives round-ups close to the real Phantom's original home range. By the time the National Academy of Science can begin -- let alone end! -- its study, there won't be enough herds left to study. Enough wild hearts have been broken. The time for a moratorium is NOW. Can You Memorize 14 Words? I hope you'll enjoy the photos and notes from Margaret, a wild horse advocate from the San Francisco, California area. I had the most fabulous weekend with Terri and her horses. Watching Ghost Dancer and Sage regain what was taken from them last winter was an awesome experience. To see Dancer and Sage turned loose in a 5000 acre field was inspiring. I'm not sure what Dancer and Sage thought. They walked out and trotted a few steps. They sniffed and looked around together. Could it be because they thought we humans had another awful trick up our sleeves? Were we going to turn them loose just to bring them back in? for safety. There really is safety in numbers. Sage needed Dancer to tell her that it was okay. they could rely on one another. I wonder what that says about us humans? Wild horses can teach us so much if we just allow ourselves a chance to open up and listen to the still quiet voice. For instance, about 20 minutes after they were turned loose, Dancer and Sage started back towards the pen they had just come from. Here they were out in the middle of a huge field and they came within 15 feet of me on their own! I was overwhelmed with gradititude that I was there much less a part of this big huge day for them. I want Dancer and Sage to move on to having other horsie friends. To not need us. To be wanted needed and loved by their own. I hope that whatever stallion takes one will take the other. I hope for them long days with peaceful grazing, babies if and when that time comes. I want them to know that the other friends they make will never cause me to betray the love and compassion I feel for them. Margaret, a San Francisco friend to wild horses, came along to document the freeing of Ghost Dancer and Sage. Tomorrow my blog will feature her written and photographic accounts of Sunday. Here's some nice footage of the Calico Mountain girls. I expected this story to be a celebration of releasing the horses and was really happy that the reporter turned it into a discussion of the round-ups, instead. Although I didn't say freeing the mares made up for losing the lawsuit against BLM and the reporter got my name wrong, this TV feature is a win for the horses! 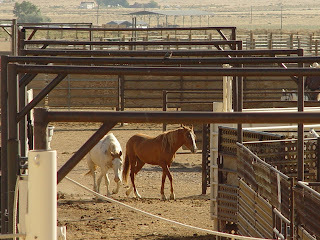 The mares from the Calico Mountains, have been safely freed into the company of other wild horses. They're no longer inmates 0832 and 0795, not Ghost Dancer and Sage. They're called by names I don't know and seeing their transformation made me prayerful. I am thankful beyond words that this sanctuary exists, but two are too few to save. 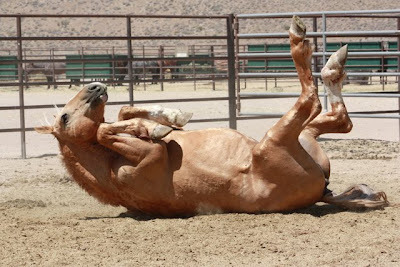 The Wild Horse Sanctuary in Shingletown will welcome two Calico Mountain mustangs to its herd on Sunday, August 22, 2010 at 11:00 a.m. The two mares were adopted by Wild Horse Sanctuary supporter and author Terri Farley from a herd of wild horses from the Calico Mountains in northern Nevada that were part of a round-up conducted by the Bureau of Land Management last winter. The two wild mustangs once roamed the tribal lands of the Shoshones in northern Nevada. 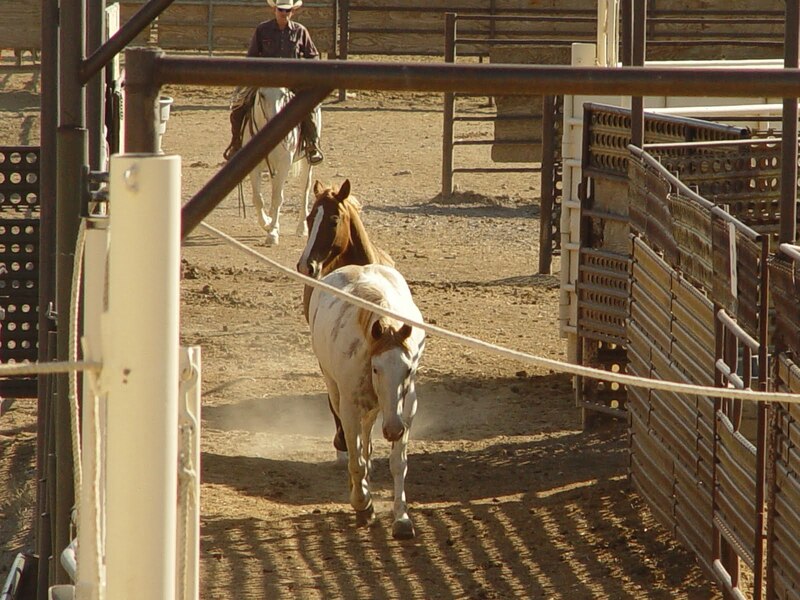 “I was determined to rescue an adobe and white pinto mare with the rare Medicine Hat markings. Such horses were held sacred to some Native American tribes,” explains Farley. Because the Shoshones last stand against invaders included the Ghost Dance, a ceremony of rebirth for fallen warriors, Farley began thinking of the Medicine Hat mare as Ghost Dancer. Terri Farley also rescued Sage, a sorrel filly who was captured on the same day as Ghost Dancer. Ghost Dancer and Sage will be released into the 5,000-acre sanctuary on Sunday, August 22, 2010 at 11:00 a.m. Please RSVP to Fred Sater, (916) 952-3642 – Cell, fred@fredsatercommunications.com, for directions and expedited access for camera crew. A non-profit organization, the Wild Horse Sanctuary has served as a haven for America’s wild horses and burros since 1978. In its location at 5796 Wilson Hill Road near the northern California community of Shingletown, these disappearing symbols of the American West can roam free and live out their natural lives. Monday, I could not see inside the Cattoor family's wild horse trap. With binoculars, I could see what went on just outside. Men waved flexible whips attached to plastic bags, spooking mustangs into trailers. They also flipped the whips to prod the thick ends into mustangs' flanks, or slam them repeatedly over horses' backs. This wasn't encouragement. This was beating. Law suits focused judicial eyes on our First Amendment rights, so members of the public are allowed to watch our wild horses on our public lands, but we were warned that BLM rangers would "take things to the next level" if we didn't obey orders. Two days earlier, near the Litchfield BLM facility, my car was pulled over by two white trucks with flashing lights. A ranger asked for my i.d. while his partner looked in my backseat. The ranger was polite, even smiled when I showed him the red tags from my wild mares' necks (yes, they are still in my purse), but he explained they were expecting trouble at the Twin Peaks round-up. I'm pretty dialed-in to wild horse issues, I told him, and I'd heard of nothing brewing. He kept the details to himself. After Monday's round-up, as wild horses were trucked to temporary holding pens, I overheard rangers describing how they'd been "primed for a riot." I have friends and family in law-enforcement and fire departments. You're kidding yourself if you don't believe part of the excitement and fun of such jobs is based in conflict. I get that. I've dedicated books to a bunch of emergency professionals because their work fascinates me. I know they run toward trouble as most of us run away. And I admit I'm not in BLM's inner circle, but I'm confused. I don't know what to hope for. Truth? That means threats have put BLM on red alert against horse advocates. Lies? That means BLM rangers have been sicced on non-existent trouble. Go see for yourself, please. YOU can view the Twin Peaks round-ups 7 days a week. You can drive to round-ups from anyplace in the U.S. and see wild horses galloping -- for their lives, it's true, but this may be your last chance because BLM plans to round-up 6,000 wild horses by summer's end. The range used to be an oasis for me. I could sit all day without seeing another human face and listen to peace. A home to deer, to birds sharing their many songs and the flash of their wings overhead, and of course to wild horses. My trip to the Twin Peaks rangelands yesterday was different. The only deer I saw was smashed in the middle of a rural road ripped wider by earth moving vehicles making way. If birdsong soared from the cliffs and fields, it was smothered by the racket of man, but I think the birds escaped, because the only flash overhead was the glint of sun on helicopter rotars as they harrassed bands of wild horses into a trap where their lives changed forever. I love Nevada, but I am a fourth generation Californian and I watched my home state's wild horses disappear. The bands zig-zagged down a hillside, planning escape with each step. A black mustang forged to the front. A blaze faced black followed, and the herd surged after them, only to be cut off by the metal sound and fuel smell of a low swooping moster. A family trio lagged, then doubled-back under the belly of the chopper, but the mare's bravery gave way to protectiveness when her foal stumbled, the helicopter closed in and years of experience told her safety was with the herd. Oh, lucky birds to be able to take wing and escape. Not one of these horses was so fortunate. The herd soon entered the the jute arms of the trap, and their lives changed forever. The horses were black dots from the far-off space where "observers" had been stationed by BLM, but binoculars and serious zoom lenses brought the story closer. In the next few blog entries, I'll share what I experienced, from "high alert" BLM rangers, to the bloody chaos of the stallion pen and one caring BLM staffer doing her best for humans and horses alike. Smells like...pine and dust and horses! Ghostdancer: Sage, you go check it out. Saw the hay, thanks, but the freedom to eat weeds and brush is too wonderful to resist! The horse trailer crew from Wild Horse Mentors beat me to the corrals at Palomino Valley on Monday morning. My excuse: I stopped to get donuts for everyone. Yes, for the BLM staff, too. Why? For the same reason I rarely use staffers' names:the ugliest decisions come down from the top. The wrangler separated Ghost Dancer and Sage away from their corral-mates after all of the gates closed so that there was just one path and it led to the red horse trailer. They didn't like the look of a rope draped overhead. Ghost Dancer's lead mare attitude asserted itself. She turned and faced the wrangler. So did Sage. They split around him and bolted back the way they'd come. Next time down the path, they entered the trailer. 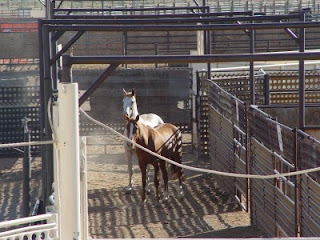 Photos of the mares' arrival at the Wild Horse Sanctuary tomorrow! These two mares, born in the wild Calico Mountains, have traveled a long, sometimes sad road. They've run the range, drinking the scents of sagebrush and cool water of desert springs. They've fled helicopters, watched as their families were torn apart and listened as some died. 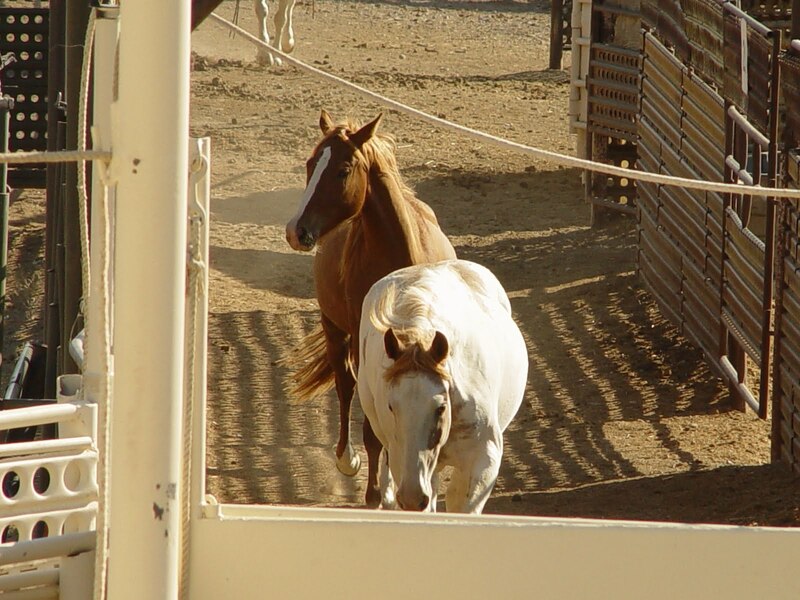 They've been shuttled from corral to corral, from a Fallon feedlot to the Palomino Valley wild horse center and their photographs have been on the Internet in hundreds of countries. This time tomorrow, they'll no longer wear red cords and tags around their necks and be known by numbers. Sage and Ghost Dancer will move to their new home at the Wild Horse Sanctuary and meet other wild horses. The real Phantom Stallion lives there, hidden from human eyes, but I like to imagine them meeting him. Maybe they'll snort, flicked their ears and roll their eyes as they discuss the odd two-legged who got them there. People have asked if the horses need financial help. YES, any donations would be most appreciated. The Wild Horse Sanctuary has a button you can click here CALICO HORSES specifically for Sage and Ghost Dancer. Most of all, we'd appreciate your thoughts and prayers for the safety of our wild horse journey. p.s. if all goes as planned, photographer CAT KINDSFATHER, who took these photos last week, will be coming along to document the Calico gals' moving day! Are they trying to make DINOSAURS less cool? I'm totally pro-science, but my hands are over my ears and I'm CHOOSING not to listen to two fossil revelations. I was just getting over research which indicated Brontosaurus never existed and now it turns out (in the real world, maybe, but I refuse to believe it) that the Triceratops is just the juvenile version of another dinosaur. I know. Ignoring facts makes one dumber. I get that, but if they know what's good for them, they'll leave Stegosaurus alone! If you've gotten to know me online or through my books, you can probably guess that I'm not too good at math. 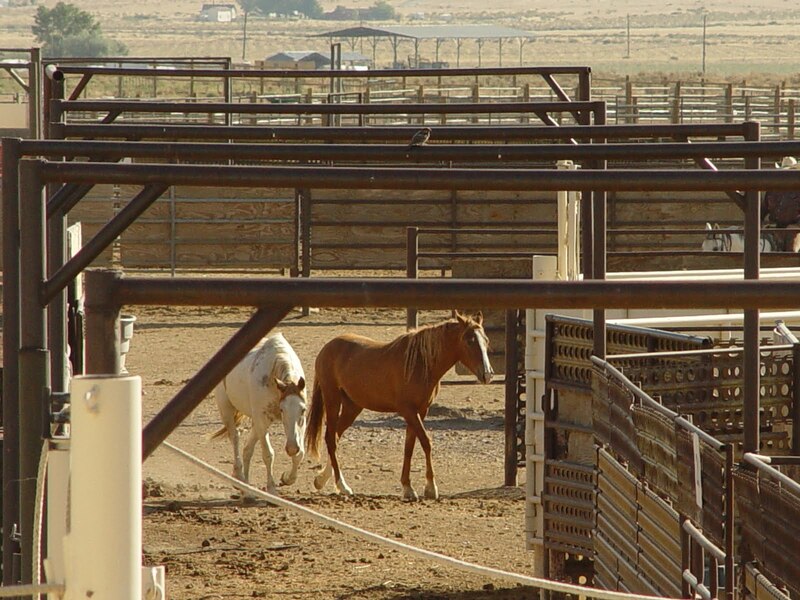 How many wild horses will BLM allow PER ACRE? Thanks for your sharing your brains! 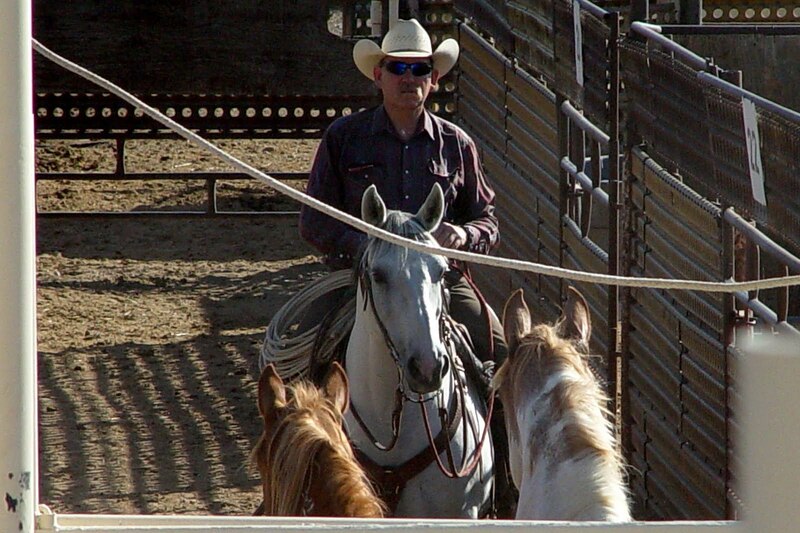 Have you ever wondered what's in the mind of a wild horse contractor? I've always assumed there's no more than death and dollar signs, but this interview with Sue Cattoor is amazing. Reporter Steven Long's skill is amazing and the willingness of Cattoor -- whose family business has made her a millionaire -- to admit what she does is chilling. She talks casually about shooting horses from helicopters, about the fact that there was plenty of water on the Tuscarora range despite what BLM told the federal judge and about the photo of a wild horse which had apparently been driven off a cliff? “They climbed up on that ledge looking for a way out and didn‘t know how to get back out of it,” Cattoor said. About that they? Read the story and weep. 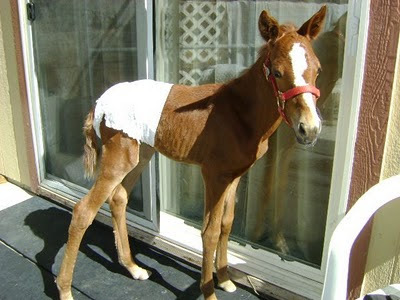 Here's orphan mustang Summer modeling her first halter & diaper. She's hanging out with wild horse angel Shirley Allen now and I saw her last week when I was helping move some beautiful rescued draft horses -- a Percheron and a Clydesdale. Summer watched through the fence. 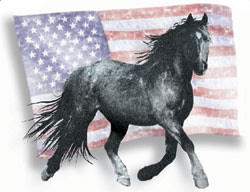 Republicans & Democrats Stand Up for Mustangs! We have the facts, photos and witnesses to show that BLM is not protecting the wild horses as they're supposed to do by law. Now members of Congress are starting to listen! WASHINGTON — A bipartisan group of 54 lawmakers pleaded with Interior Secretary Ken Salazar to halt a series of wild horse roundups on the Nevada range. and this article, written by Senator Mary Landrieau explains why she thinks wild horses are symbols of America's freedom. A few can hear us; let's make sure all of them can! Wouldn't you like to know what's going on in Ghost Dancer's mind? What knowledge of water holes, cougars and shelter from storms does a 15-year-old mare carry in her brain? I can only imagine, and I'm writing new stories about it. Below, is a different kind of writing I'm doing for Ghost Dancer's still-free friends and family. 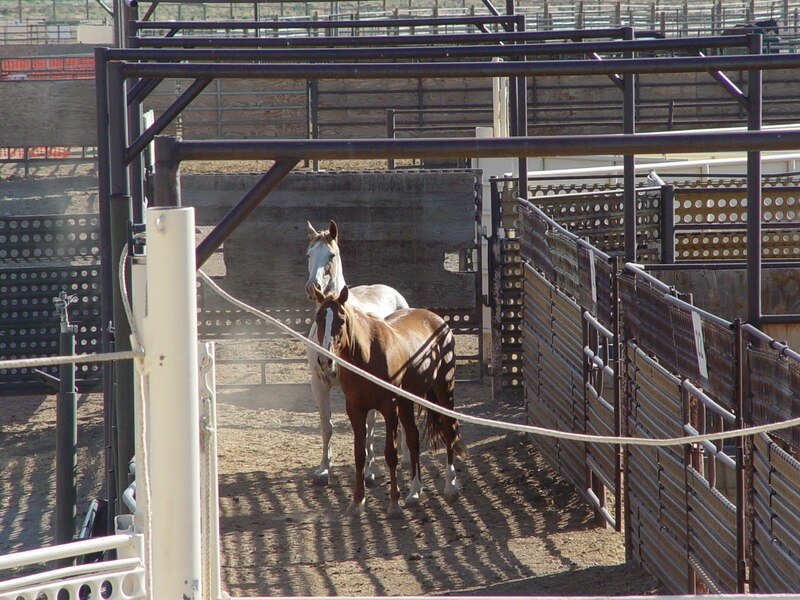 The U.S. Bureau of Land Management plans to clear the West of 6,000 wild horses between July 1 and Sept. 30. How many will be left? BLM's figures vary, and when those who speak up for the horses ask for the science, they're brushed aside as the equine equivalent of crazy cat ladies. Ten years ago, I was writing for Nevada magazine, researching my books and observing BLM roundups. Gather days started at Bruno's café in Gerlach. Before dawn, I drank coffee with BLM staffers, then rode with them to the gather site. Helicopters drove the horses into the corrals. They fought the confinement but were rested before being trucked to pens in Palomino Valley. Not anymore. In January 2010, BLM stampeded Calico Mountain herds onto a private ranch, where the public was locked out except on designated observation days. On Jan. 16, we met at Bruno's again, but my nostalgia vanished when I saw the guns. Most BLM staff were armed. The gather was on fast forward. Two helicopters, not one, chased panicked horses. Horses were sorted by gender. Stallions fought. Mares screamed for foals that clustered together as their mothers were taken away. 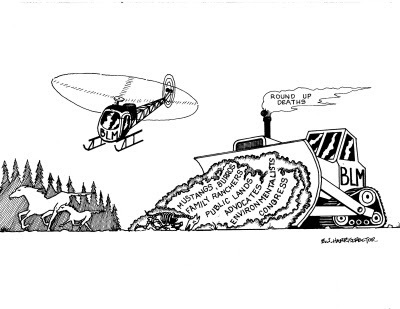 BLM's daily updates show the contractor's concern for speed, not safety. The hooves of two foals separated from their legs. Adult horses suffered broken necks, skulls and pelvic bones. BLM says 109 mustangs died and 40 wild mares suffered miscarriages -- from pre-existing conditions. This summer's roundup hasn't made the BLM look very good. The agency reported no endangered horses on the range before the roundup, but scores died afterward. The roundup was halted until the BLM's Alan Shepherd insisted most of the remaining horses would die if they weren't gathered immediately. Judge Larry Hicks believed him. The roundup could go on if humane observers were allowed. When they showed up, the roundup had been moved to private land, and they were threatened with arrest. BLM reports describe a palomino: "bleeding from the mouth ... disoriented and unaware of his surroundings. ... He apparently had sustained a serious head injury and possible jaw fracture during the night ..." Supposedly, the young stallion wasn't run to death; he just woke up mortally injured. That's why we need a moratorium on wild horse roundups until the BLM clears its name through an independent evaluation. While we're waiting for results, make plans to let the horses earn their own ways. Consider eco-tourism plans, like those proposed by Soldier Meadows Ranch and Madeleine Pickens. Partner the BLM with the first lady's Let's Move Outside program, letting city kids appreciate wild animals. Introduce middle-schoolers already using terms like "compensatory reproduction" in discussion of BLM's herd management to Sally Ride's science program. These are cheaper, win-win solutions. Our land, our children, our wallets and wild horses will benefit. Terri Farley has a secondary teaching credential, 36 best-selling books and two Calico Mountain mares. I hope you'll read it, too, because we all need to keep working with our hearts and HEADS. So, stay informed. Some of you wanted to see a more complete photo of Tassel. Here's one. High bidder on this sweet horse is from Pennsylvania. Hope it was one of you!